Starting from September 2013, I am a post-doctoral researcher at the Database Architectures group of Centrum Wiskunde & Informatica (CWI) in Amsterdam. Here is my new homepage. Hi! 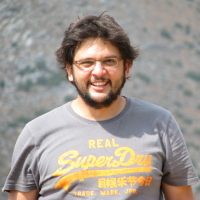 My name is Kostis Kyzirakos and I am a PhD student at the Department of Informatics, University of Athens and my PhD supervisor is Prof. Manolis Koubarakis. I obtained a Diploma in Engineering from the School of Electrical and Computer Engineering, National and Technical University of Athens and I carried out my Diploma Thesis at the Knowledge and Database Systems Laboratory under the supervision of Prof. Yiannis Vasileiou and Dr. George Papastefanatos. C. Nikolaou, K. Dogani, K. Kyzirakos and M. Koubarakis. Sextant: Browsing and Mapping the Ocean of Linked Geospatial Data. In the 10th Extended Semantic Web Conferece (ESWC 2013), Montpellier, France, May 26-30, 2013. [ pdf, poster, online demo] Best demo award. K. Kyzirakos, M. Karpathiotakis, G. Garbis, C. Nikolaou, K. Bereta, I. Papoutsis, T. Herekakis, D. Michail, M. Koubarakis and C. Kontoes. Wildfire Monitoring Using Satellite Images, Ontologies and Linked Geospatial Data. Semantic Web Challenge 2012. [pdf] [live demo] Won the third place! G. Garbis, K. Mpereta, M. Karpathiotakis, K. Kyzirakos, B. Nikolaou, M. Sioutis, S. Vassos, I. Miliaraki, K. Papadaki, and Manolis Koubarakis. An implementation of a temporal and spatial extension of RDF and SPARQL on top of MonetDB - phase I. Deliverable D4.1, EU FP7 project TELEIOS. M. Koubarakis, K. Kyzirakos, C. Nikolaou, M. Sioutis and S. Vassos. A data model and query language for an extension of RDF with time and space. Deliverable D2.1, EU FP7 project TELEIOS. A. Gray, I. Galpin, A. Fernandes, N. Paton, K. Page, J. Sadler, K. Kyzirakos, M. Koubarakis, J. Calbimonte, R. Garcia-Castro, O. Corcho, J. Gabaldon, and J. Aparicio. SemSorGrid4Env Architecture - Phase II. Deliverable D1.3v2, EU FP7 project SemsorGrid4Env. A. Gray, I. Galpin, A. Fernandes, N. W. Paton, K. Page, J. Sadler, M. Koubarakis, K. Kyzirakos, J. Calbimonte, O. Corcho, R. Garcia, V. Diaz and I. Lisbeana. SemSorGrid4Env Architecture - Phase I. Deliverable D1.3v1, EU FP7 project SemsorGrid4Env. M. Karpathiotakis, K. Kyzirakos, Z. Kaoudi, M. Koubarakis, Josep Rodriguez and Juanjo Aparicio. Evaluation of the registry services. Deliverable D3.4, EU FP7 project SemsorGrid4Env. M. Karpathiotakis, K. Kyzirakos, Z. Kaoudi, V. Fisikopoulos, I. Miliaraki, M. Koubarakis, Y. Ioannidis, M. Hatzopoulos and V. Kalogeraki. Implementation and deployment of the registry services. Deliverable D3.3v2, EU FP7 project SemsorGrid4Env. K. Kyzirakos, M. Karpathiotakis and M. Koubarakis. Implementation and deployment of the registry services. Deliverable D3.3v1, EU FP7 project SemsorGrid4Env. K. Kyzirakos, Z. Kaoudi, M. Karpathiotakis and M. Koubarakis. Distributed data structures and algorithms for a Semantic Sensor Grid registry. Deliverable D3.2, EU FP7 project SemsorGrid4Env. K. Kyzirakos, Z. Kaoudi and M. Koubarakis. Data models and languages for registries in SemsorGrid4Env. Deliverable D3.1, EU FP7 project SemsorGrid4Env. Implementation of Use Cases. Deliverable D4, Peer-to-Peer Techniques for Semantic Web Services project. Implementation and Integration with the DAML-S Virtual Machine. Deliverable D3, Peer-to-Peer Techniques for Semantic Web Services project. Semantic Web service discovery using DHTs: Theoretical Analysis, Algorithms and Experimental Evaluation. Deliverable D2, Peer-to-Peer Techniques for Semantic Web Services project. Semantic web service discovery and composition in a DHT environment: use cases and architectures. Deliverable D1, Peer-to-Peer Techniques for Semantic Web Services project. Z. Kaoudi, K. Kyzirakos, M. Magiridou, I. Miliaraki, A. Papadakis-Pesaresi, E. Liarou, S. Idreos, M. Koubarakis, S. Skiadopoulos, and E. Pitoura. Evaluation of Deployed Ontology and Semantic Grid P2P Services. Deliverable D4.3, EU FP6 project Ontogrid. Z. Kaoudi, K. Kyzirakos, M. Magiridou, I. Miliaraki, A. Papadakis-Pesaresi, E. Liarou, S. Idreos, G. Anadiotis, M. Koubarakis, S. Skiadopoulos, and E. Pitoura. Deployment of Ontology Services and Semantic Grid Services on top of Self-organized P2P Networks. Deliverable D4.2v2, EU FP6 project Ontogrid. Strabon: a semantic geospatial system for stRDF/stSPARQL and GeoSPARQL. 2009-now: Teaching assistant in graduate course Knowledge Technologies. 09/2005 – 03/2006: Software Engineer, DocuSystems Co in cooperation with the Knowledge and Database Systems Laboratory of National Technical University of Athens. 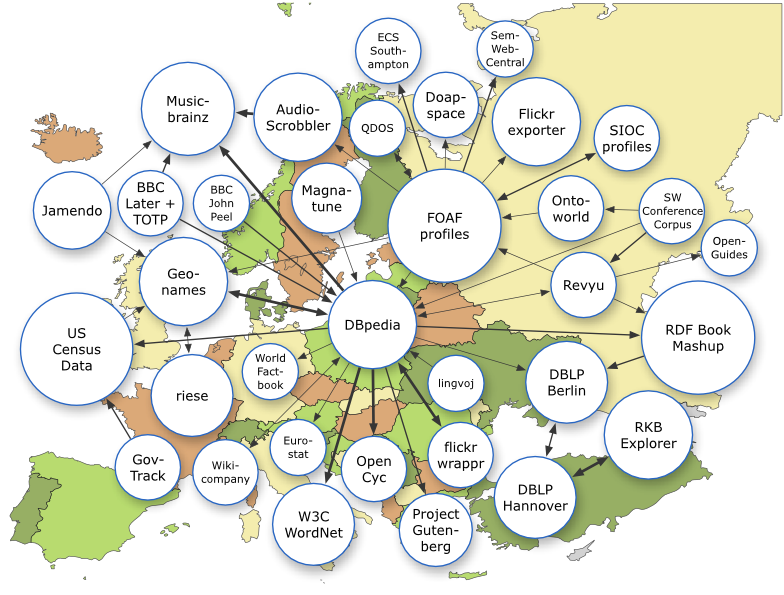 09/2003 – 12/2004: Software Engineer, Attica’s Network of Catchpoles. 12/2003 – 02/2004: Software Engineer, Abacom Co.
04/2003 – 07/2004: Software Engineer, Attica’s Network of Catchpoles. 09/1999 – now : Software Engineer, State School of Dance.